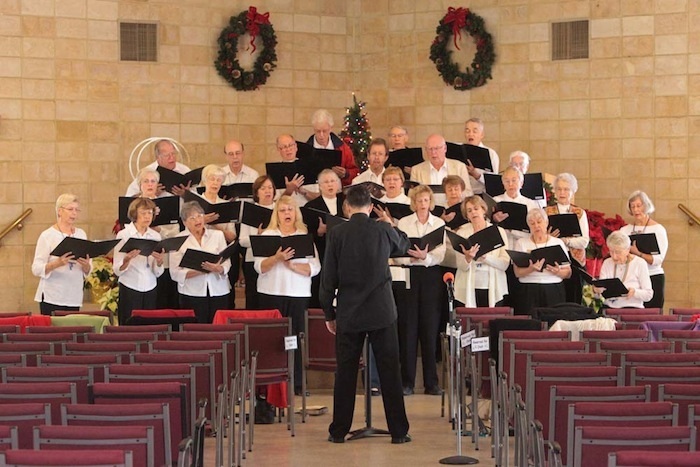 The Unitarian Universalist Church of Sarasota's choir is directed by Robert Lischetti and sings approximately every other week during the regular church year (September-June). Mr. Lischetti is also well established as a classical singer and vocal instuctor in the Sarasota area. The choir is a four part group consisting of approximately 35 to 40 members, and performs music in a range of styles including classical, ethnic, gospel and contemporary. The choir is always looking for new members. If you like to sing we would love to hear from you. You can email our Music Director directly. No audition is necessary! The choir rehearses on Thursdays at 7:30 pm and our services are Sundays at 10:30 am, with the choir singing on alternate Sundays. ​In Winter and early Spring, we have two services, at 10:00 and 11:30 am to accommodate the higher attendance we experience during the tourist season. The choir sings during the 10:00 am service on alternate Sundays. Our Upcoming Services page shows when the choir performs and who the guest musicians are for the next few Sundays.